A literary comedy about the complicated romantic life of a Muslim American art history student at UC Berkeley. Sebastian Khan is 380 days away from the end of college. An art history major with a fondness for the pre-Raphaelites and a dislike of long-term commitments (romantic and otherwise), Sebastian starts dating Fatima, who's determined to transition smoothly from campus life to a stable white-collar professional career. Sebastian's membership in Model United Nations, though, takes him to colleges across North America, foisting upon him all manner of temptations and testing his commitment to Fatima and his readiness for adulthood. 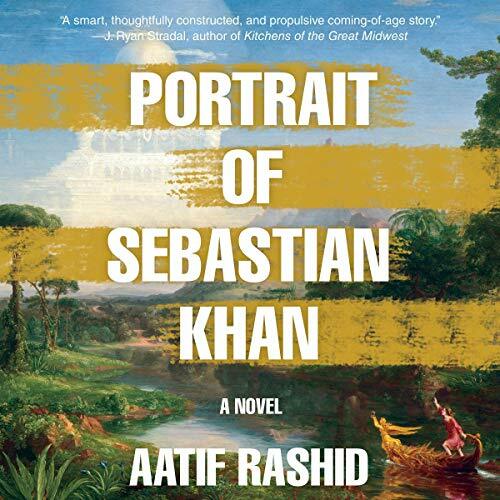 Part satire of college life circa 2011 and part serious exploration of art's fundamental unreality, Portrait of Sebastian Khan is a humorous coming-of-age novel about a charismatic but emotional stunted Muslim American Don Draper who wins as many hearts as he breaks.